Drain fields are critical to septic system operation, so it’s important that yours is working properly. If you’re familiar with septic systems, you’re probably aware of drain fields. 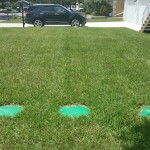 However, many septic owners don’t realize the importance or the value of a drain field. 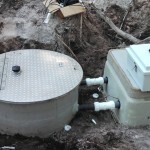 You may also hear this referred to as a leach field or leach drain, but its purpose is to remove impurities and contaminants from the liquid that moves through your septic tank before it goes into the soil. Drain fields can effectively dispose of organic materials that have been broken down by bacteria in the septic tank. A drain field typically includes a set of perforated pipes, buried in some type of porous material, such as gravel. The gravel further filters the water as it exits through the holes in the pipes, ensuring that the water is clean and won’t cause environmental damage. When a drain field fails, you may not know what’s happening until it’s too late. Some of the warning signs of drain field failure include gurgling sounds coming from the drains in your home, slow-moving toilets, water coming through your floor drains, wet spots in your yard, and sewage odors indoors or outdoors. 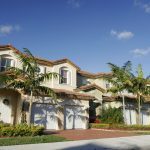 If you spot any of these warning signs, contact us at Tampa Septic. 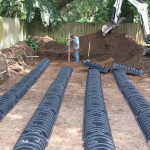 We provide service for drain fields and other septic components for customers throughout Plant City, Florida. Our team members have 30 years of combined experience, so you can feel confident when we’re working on your septic system. Drain fields are critical to septic system operation, so it’s important that yours is working properly. Contact us for any septic repair service you may need. 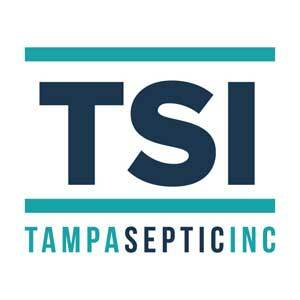 At Tampa Septic, we offer drain fields services in Tampa, Odessa, Lutz, Land O’ Lakes, Brandon, Spring Hill, Zephyrhills, Plant City, Dade City, Brooksville, Lake Wales, Thonotosassa, Wesley Chapel, and Ridge Manor, Florida.